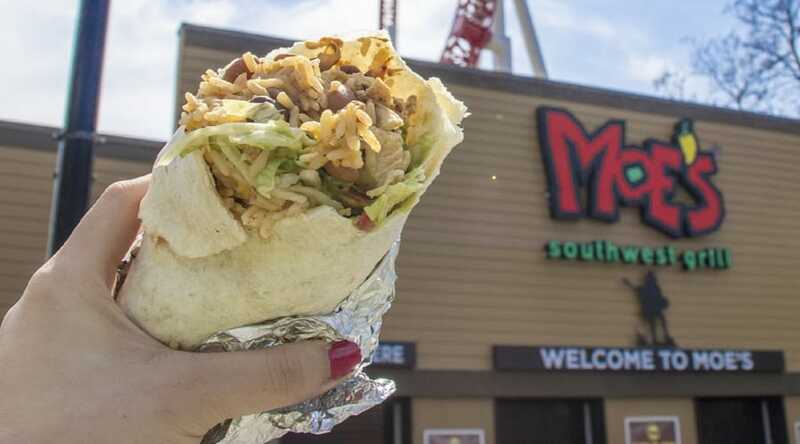 Welcome to Moe's Southwest Grill! We're serving burritos, tacos, nachos, salads, and more, all with our freshly made chips and signature salsas. Located in the Pioneer Frontier℠ area. Please check with stand Manager to verify. Personalize your burrito with your choice of Steak, Carnitas, Chicken, Ground Beef, Tofu, or Vegetarian style! These burrito bowls can be customized exact how you like it with your choice of Steak, Carnitas, Chicken, Ground Beef, Tofu, or Vegetarian style! Customize your salad by choosing Steak, Carnitas, Chicken, Ground Beef, Tofu, or Vegetarian style. Try it with a house made crunchy flour tortilla shell! These nachos can be personalized to be exactly what you love by choosing Steak, Carnitas, Chicken, Ground Beef, Tofu, or Vegetarian style! Our tacos can be ordered as one, two, or Three Amigos! Try them Our Way with Carnitas, Chicken, and Steak for the best mix of flavor! This kids burrito can be personalized exactly how they want with Steak, Carnitas, Chicken, Ground Beef, Tofu, or Vegetarian style! This kids taco can be personalized exactly how they like it with Steak, Carnitas, Chicken, Ground Beef, Tofu, or Vegetarian style!